1.2 mm. - 3x4 mm.1.2 mm. - 3x3 mm.1.2 mm. - 4x4 mm. 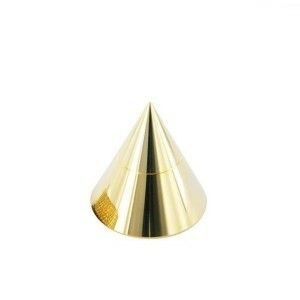 Cones Gold plated surgical steel 316L. ; ; Thick layer of 3 microns of gold of 18 kl. By resisting the Golden much longer. ; ; Measurements: 3 x 3, 3 x 4 and 4 x 4 mm.